Summary: This is the true story of Salomon Sorowitsch, a swindler who made a name for himself as Berlin’s “King of the Counterfeiters” in the 1920’s. However, his life of women and easy money is cut short when he’s arrested in Berlin and sent to a concentration camp in Germany, Sachhausen and then on to Auschwitz. With the German army on the verge of bankruptcy, Sorowisch makes a sobering deal with his aptors in exchange for privileges treatment in Auschwitz. 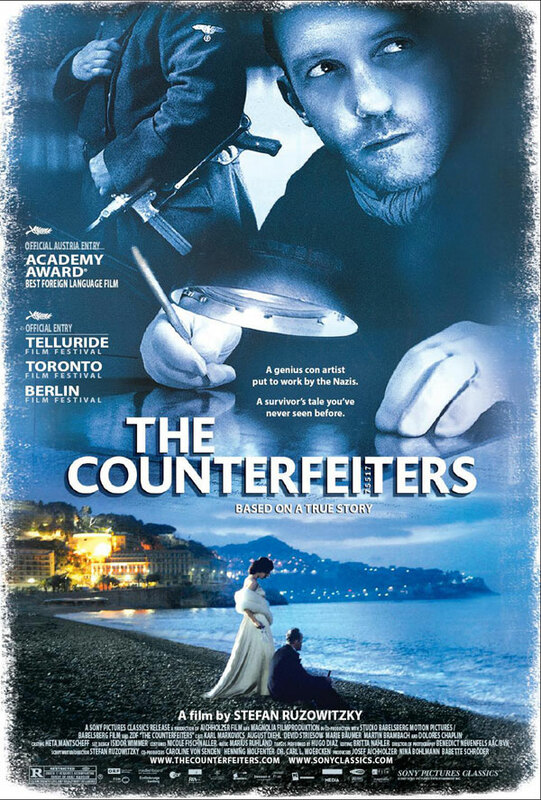 He and a group of hand-picked specialists must counterfeit British bank notes to fund the Nazi war efforts. If he does, he and his group live another day. If not, he and his group will have the same fate as the other inmates. The moral question becomes as powerful as the counterfeiting scheme.